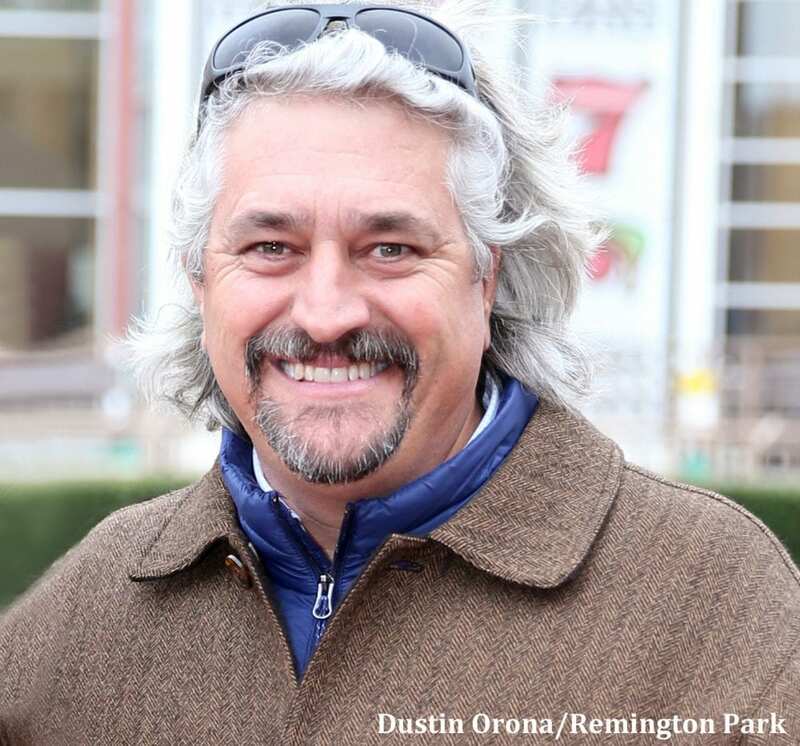 Hall of Famer and 13-time champion trainer at Remington Park, Steve Asmussen, extended his lead in the 2018 seasonal standings at the Oklahoma City, Okla., track with his foot heavy on the gas pedal. Asmussen won five races Wednesday night, tying a record for most visits to the winner's circle in a single night for thoroughbred trainers. Asmussen won races two, five, six, seven and nine and tied the record he and former trainer Wade White shared. White won five races on Nov. 7, 1993, and Asmussen equaled that mark last year on Dec. 12 and again Wednesday night. Asmussen-trained Dissension gave the trainer his first chance to equal the mark but ran fourth in the eighth race. That made King Ptolemy (2-1 odds) in the ninth race his final chance to get his name on the record for a second time and the 7-year-old gelding came through. Jockey Iram Diego booted him home a winner for his third win of the night, two of them for Asmussen, and one for trainer Bret Calhoun in the third race. Asmussen's five wins gave him a double-digit lead in the standings over second-place Karl Broberg, 41-31. Asmussen of Arlington, Texas, is trying to extend his record of 13 titles to 14. Asmussen's first four winners on the night were ridden by different jockeys. Puttinyouonthenews (4-5) in the second race won with David Cabrera up; Alliterative (9-2) in the fifth, despite checking up twice in the race, had Diego in the saddle; Data Driven (4-5) in the sixth, won then unseated jockey Donnie Meche after the finish line; and Tarawa (7-1) in the seventh with jockey Ramon Vazquez in the irons. Last December, Asmussen's five wins came in consecutive races – three through seven. He had two more horses to grab the record by himself on that race day, but couldn't get it done. Asmussen leads the national trainer standings by both races and money won. Through Oct. 17, the 52-year-old native of Gettysburg, S.D., has won 445 races from 1,501 starts for earnings of $22,506,406. This entry was posted in People and tagged remington park, steve asmussen, Wade White by Edited Press Release. Bookmark the permalink.